sportsloduca: Sports: News-Editorial: Award-Winning Evansville Photographer: Molly Bartels specializing in editorial, wedding and art photography in Evansville, Indiana. 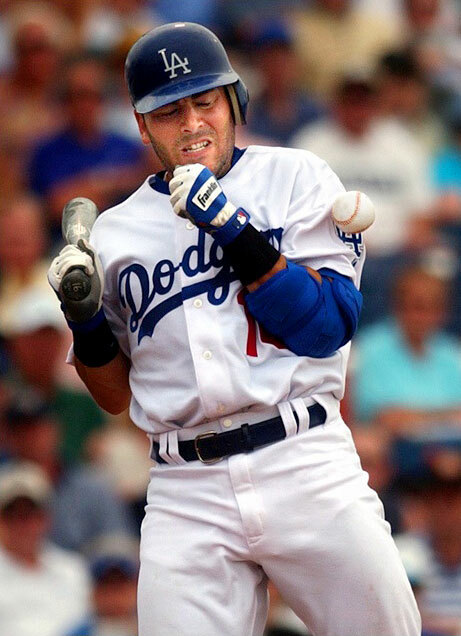 Los Angeles Dodger catcher, Paul LoDuca, winces after getting hit in the arm by a pitch from Detroit Tigers pitcher, Andy Van Hekken, in the first inning at Holman Stadium in Vero Beach. LoDuca was not seriously injured and the Dodgers went on to win 6-5 in the Grapefruit League season opener.